Ibn Qayyim on Riba and more expensive Riba: Which should we choose? I wonder, which of the harmful effects of riba was removed by this deception and lies?" Source: Ibn Qayyim Al-Jawziya, I`lam Al-Muwaqqi`in `an Rabb Al-`Alamin, Beirut: Dar al-Kutub al-`Ilmiyya, 1996, vol.3, p. 92. And the legal abitrageurs will still come around quoting "God permitted trade and forbade usury" (deceptively, twisting the meaning) to justify their trade!! 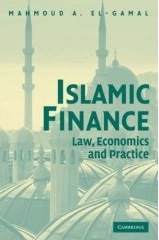 Besides your book, what other books on "Islamic Finance" do you recommend (in English)? It would be a good idea if you could post your answer on your blog so that other viewers benefit. Saeed, Abdullah, Islamic Banking and Interest: A Study of the Prohibition of Riba and Its Contemporary Interpretation, Brill Academic Publishers, 1997. A wonderful scholarly work. Lewis, Mervin and Latifa Algaoud, Islamic Banking, Edward Elgar, Pub., 2001. 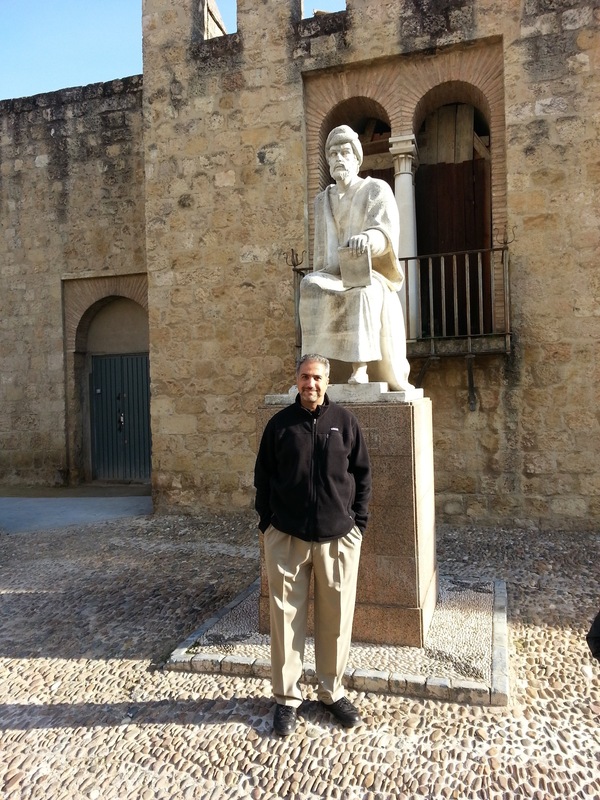 A good survey with a nice interfaith introduction covering Abrahamic religious views on usury. Warde, Ibrahim, Islamic Finance in the Global Economy, Edinburgh University Press, 2000. The best political-economy coverage of Islamic finance that I have read. Henry, Clement and Rodney Wilson (eds. ), The Politics of Islamic Finance, Edinburgh University Press, 2004. The best collection of essays on the political economy of Islamic finance that I have read. See, in particular, Dr. Monzer Kahf's chapter. Vogel, Frank, and Samuel Hayes, Islamic Law and Finance:Religion, Risk, and Return, (paperback) Springer, 1998. Very scholarly work. Vogel's part is a learned survey of classical jurisprudence and its interpretation by contemporary participants in Islamic finance. Hayes's part is an example of superior Islamic financial engineering (of which I am not fond, but if one is to do it, it is better to do it right). Usmani, M. Taqi, An Introduction to Islamic Finance, Springer, 2002. This book was published earlier in Pakistan and elsewhere, and free versions were available online when I last checked. 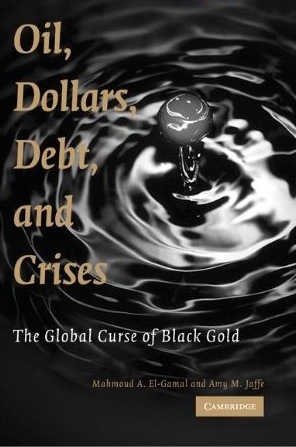 You can think of this as the bible for Islamic financial engineers. Justice Usmani is the most respected name on the "Shari`a scholar" circuit, so widely respected in fact that a number of his family members are quickly becoming prominent members of that scholar circuit as well as he nears retirement. Maurer, Bill, Mutual Life, Limited: Islamic Banking, Alternative Currencies, Lateral Reason, Princeton University Press, 2005. An anthropologist's social scientific study of Islamic finance as a social phenomenon, with comparison to other unorthodox financial systems. Kuran, Timur, Islam and Mammon: The Economic Predicaments of Islamism, Princeton University Press, 2005. A collection of earlier essays by Timur Kuran, constituting the most blistering attack on the bulk of Islamic economics, revealing its political and economic failures, as well as its academic incoherence. If you are sympathetic to Islamic economics, as I am, you have to get beyond your first (knee jerk) reaction to Timur's relentless attack. Once you get over it, you will see that most of his points are very valid, and accepting such criticism may be the first step toward coherent thought about Islam and economics. This Op-Ed piece appeared in today's Financial Times. Due to space constraints, the editors removed the paragraph wherein I claimed that microfinance institutions, and not today's multinational marketers of structured "Islamic finance", are the rightful heirs to the legacy of early initatives in Islamic banking in rural Egypt, India and Pakistan. They also removed my sentence on the use of the term sukuk, which I had only heard in my school years in Egypt in reference to sukuk al-ghufran, the Arabic name of the Easter Church's version of pre-reformation indulgences. In a recent conference entitled "Shari`a (Islamic law), Identity, and the Constitution", a group of scholars reaffirmed the identity-political nature of adherence to Shari`a. On the other hand, the scholars who spoke at the conference, including Dr. Yahia El-Gamal (no relation), Dr. M. Salim Al-`Awwa, and others, affirmed that theocracy is not known in Islam, and that Islamic states are civil/secular, even if the laws are derived from Shari`a. In this regard, the issue of objectives of the law (Maqasid al-Shari`a) again featured prominently in the discussion, suggesting that -- outside the area of theology and acts of worship -- specific rulings are not as important, and the main Islamic legal principles are identical with those underlying other human legal systems.